These outdoor plaid picnic rugs are made of polyester and have a waterproof PE backing. Folded for storage and transport. The flaps are made of 600D / PVC polyester and offer a large imprint area. 1" W mesh carrying handle makes it easy to carry. 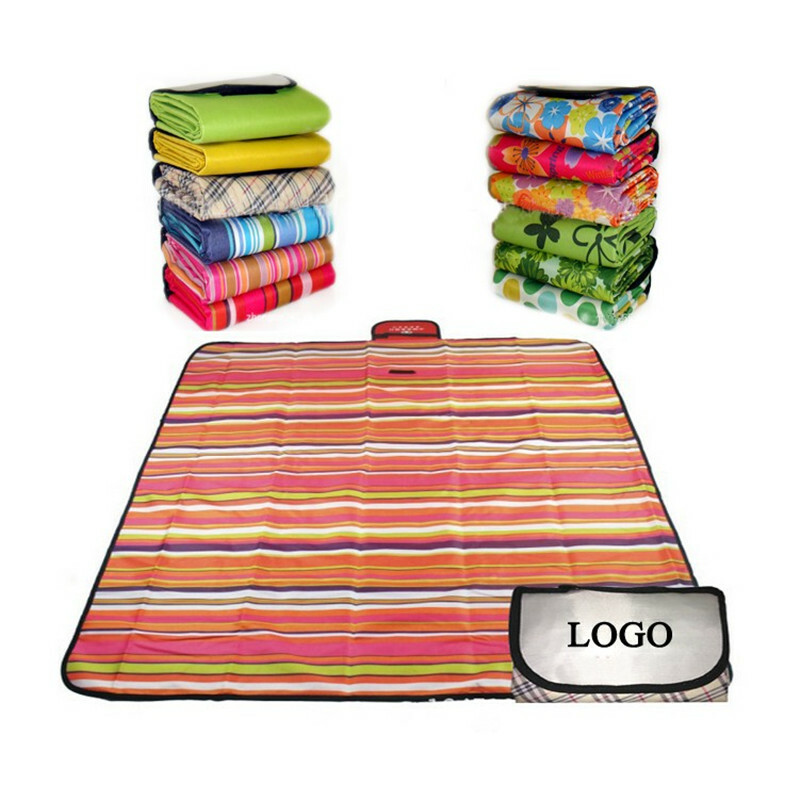 Perfect for rolling up accessories for sporting events, picnics, beaches, camping, concerts, outdoor, travel, family, food. There are some other sizes 59" L x 59" W, 59" L x 71 "W, 79" L x 79" W is available.